Sloppy books • Chief and treasurer resign; criminal probe urged of ex-official who had left amid allegations of embezzlement. | Courtesy Kaysville City Kaysville Mayor Steve Hiatt, president of the Utah League of Cities and Towns, since last fall, says he and the current board are working hard to clean up the mess revealed in a new state audit.. Steve Griffin | Tribune file photo State Auditor John Dougall, center, released an audit taking the Utah League of Cities and Towns to task for alleged misuse of public money. He recommends a criminal investigation into at least one former official. Ryan Galbraith | Tribune File Photo Ken Bullock, Utah League of Cities and Towns. Steve Griffin | Tribune file photo Midvale Mayor JoAnn Seghini resigned as board treasurer of the Utah League of Cities and Towns on the eve of release of a critical state audit that blasted the board for poor oversight that allegedly allowed financial wrongdoing and possibly criminal activity. Ken Bullock, longtime executive director of the Utah League of Cities and Towns, resigned as a state audit released Thursday said he charged $57,000 in personal expenses to the credit card of that taxpayer-funded group over four years. 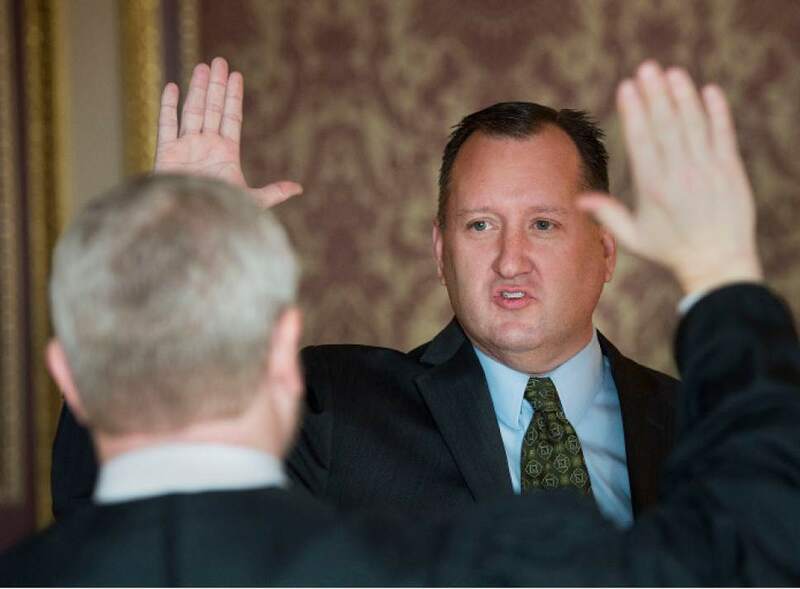 The report by the office of State Auditor John Dougall questioned another $130,000 in Utah League of Cities and Towns (ULCT) charges because they lacked documentation showing they were for business purposes. The audit comes after The Salt Lake Tribune, using leaked documents, reported in October that Bullock had charged more than $25,000 in 2014 and 2015 for travel to watch his son, Elliot, play basketball for Stanford University. 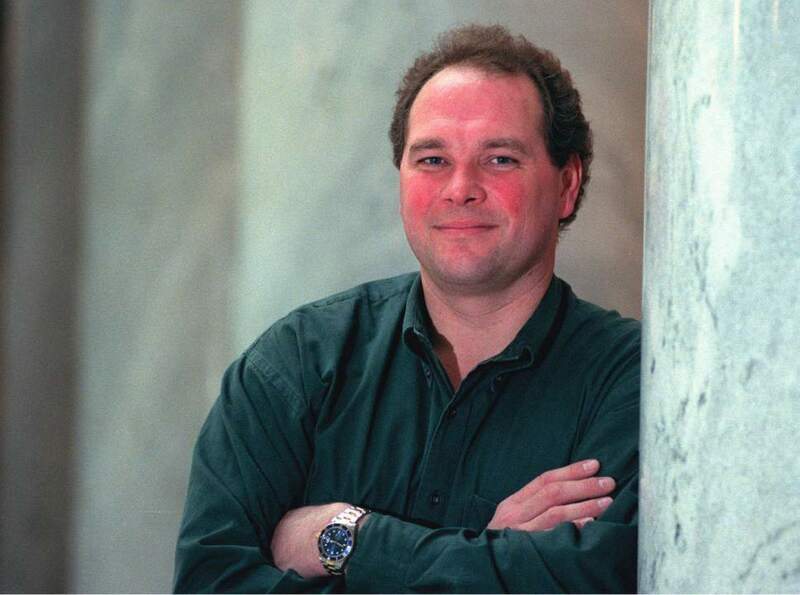 Bullock  a former outspoken watchdog member of Salt Lake City&apos;s 2002 Winter Olympics organizing committee  earlier provided canceled checks showing he had repaid those charges, but auditors now say these transactions amounted to unauthorized loans that helped reveal poor financial oversight by the ULCT board. Bullock did not respond to a request for comment Thursday. His league salary was undisclosed. The audit slapped the league for failing to provide such financial information to the state for public disclosure along with other cities and governments. 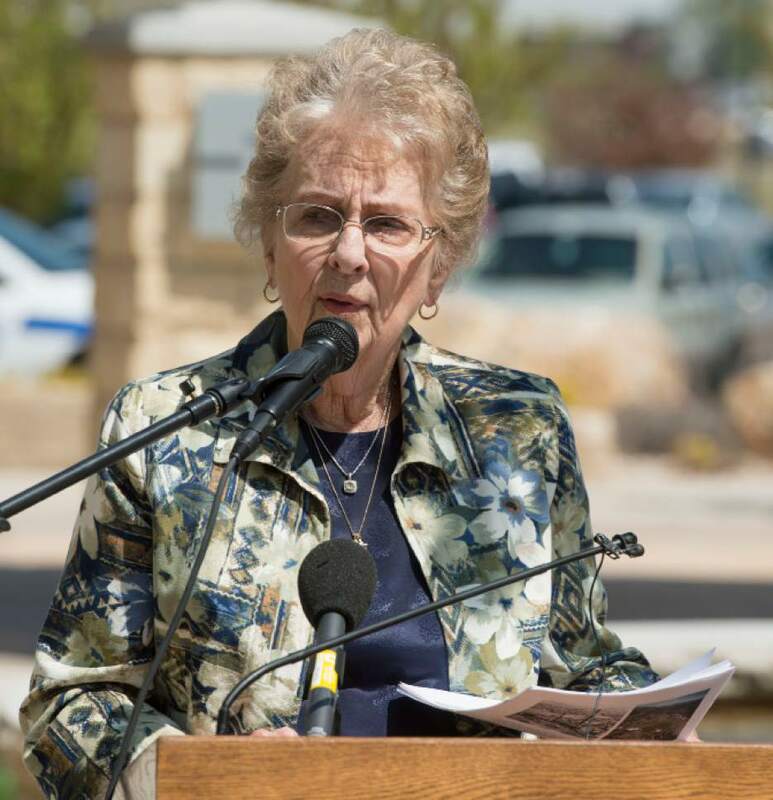 Amid criticism of board oversight, its treasurer, Midvale Mayor JoAnn Seghini, also resigned from her ULCT post Wednesday before release of the audit report. Auditors found what they called embezzlement by the league&apos;s former administrative services director, Michelle Reilly, who resigned in August after an earlier league audit found she charged $5,000 in personal expenses to the ULCT. The new audit found an additional $26,652 in such charges over several years. The new state audit recommends a criminal investigation into Reilly, but not Bullock, who has led the league for more than 20 years. "The director admits to charging personal expenses on his card," Dougall told The Tribune. "He had a long history of repaying those. We do think he owes a little more money to the league," about $11,000. "We believe that&apos;s because of poor record keeping," Dougall added. "But clearly at the end of the day personal expenses should never be charged to a governmental entity." The league in its response to the report said it does not believe Bullock "had any criminal intent to defraud" the league but had acted sloppily and improperly. Bullock charged and reimbursed $45,857 for personal travel to the league&apos;s credit card, the audit said, mostly to see his son play basketball. Bullock told The Tribune in October he did that as a convenience to keep all his frequent-flier award miles together, and said he did nothing wrong. Bullock "explained that at the end of his son&apos;s college basketball season, he would go through his credit card statements and identify personal charges. He could then reimburse ULCT for those personal charges," the audit said. Because it took him up to six month to repay those charges, auditors said that amounted to unauthorized loans. He paid no interest. "It was improper for the director to issue loans to himself without board authorization," Dougall said. The audit adds the board was not aware of Bullock&apos;s practice until last July, and not aware of the large amounts involved until October  when The Tribune published a story about the basketball charges. The audit found the total of personal charges that Bullock made in the four years reviewed was $57,000, and recommended that the league seek the $11,000 or so Bullock has yet to reimburse. Bullock and Reilly used rewards from their league credit cards for personal use, auditors said, adding that the officials never received permission for that, and ULCT paid fees for their cards to allow participation in rewards programs. Bullock knew for years about seriously poor job performance by Reilly, including late payments that led to serious penalties and interest, according to the audit. He "had sufficient knowledge and delayed in taking timely action," Dougall said. Auditors also said Bullock did not properly disclose his outside employment and conflicts of interest to the league. He received nearly $80,000 in wages and reimbursements over 10 years from an unnamed organization that Bullock told auditors was private and not governmental. Meanwhile, the audit had more harsh criticism of Reilly. She likely owes at least $26,000 to the league for funds the audit alleges were embezzled for personal use. Charges included $142 for the Devil&apos;s Daughter Bar on New Year&apos;s Eve 2014, $1,402 in iTunes purchases, $354 at Soma Intimates for women&apos;s apparel; $482 for spa charges and $8,437 for dining. She used 219,800 credit-card points  valued at $1,465  to book personal travel on her last day of employment, as she resigned amid controversy over personal spending, the audit said. Auditors found another $57,261 in questionable spending by Reilly lacking proper documentation. She also is accused of issuing checks totaling $2,525 to herself for a flexible healthcare spending account without proper documentation. Among more than $40,000 in questionable meal charges on ULCT credit cards previously reported by The Tribune, based on leaked documents, were $317 for a staff birthday celebration at Frida Bistro; $226 at Fleming&apos;s Steakhouse for a staff dinner "in lieu of comp time"; and $267 for four dinners at the Bout Time sports bar and grill with a Deseret News reporter. Bullock earlier told The Tribune that some of the dinners with the reporter were to discuss how the ULCT could improve its news coverage. He also said some of the thousands of dollars in meal charges were paid out of private donations the league receives from businesses  donations that Bullock claimed made up about 18 percent of the ULCT budget. The audit had sharp criticism for past lax oversight of finances by the ULCT board. "It really saw itself more as ceremonial rather than as governing," Dougall said. "So this is a wake-up call to the board about the importance of their oversight. Clearly we&apos;ve seen a shift in the performance of the board in 2016." Board members are all elected city mayors or council members who, the audit said, "should understand the role of a governing body." 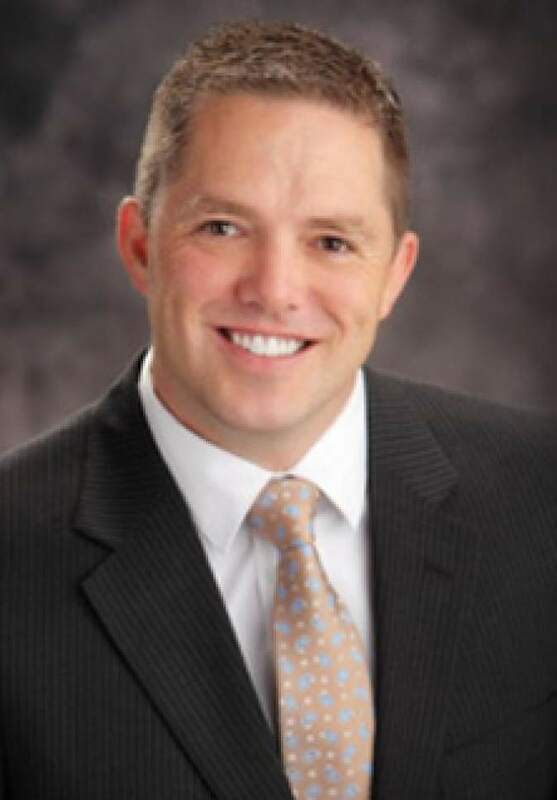 Kaysville Mayor Steve Hiatt became ULCT president last fall after Reilly&apos;s resignation and asked for the state audit. "It&apos;s been a tough few months, but our focus has been getting to the bottom of the concerns and ensuring policies are in place to ensure it never happens again," he said. "Our current board is unanimous in that desire." Roger Tew, a former Utah State Tax Commissioner, has been brought on as ULCT interim executive director. He is a longtime league lobbyist and senior policy analyst. "We know that Roger and the ULCT staff are well positioned to advocate for the interests of Utah cities and towns during the upcoming 2017 legislative session," Hiatt said in an email to league members. The league is funded mostly by member cities to lobby on their behalf, help train their staffs and do research.